Preheat outdoor grill or broiler. 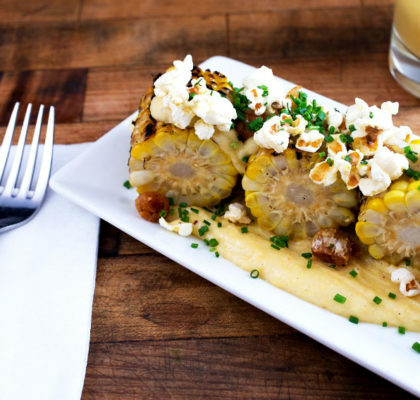 Grill or broil corn, turning occasionally, until some kernels turn golden brown, 10 to 12 minutes; cool. Using a sharp knife, cut corn off cobs (makes about 1-1/4 cups). 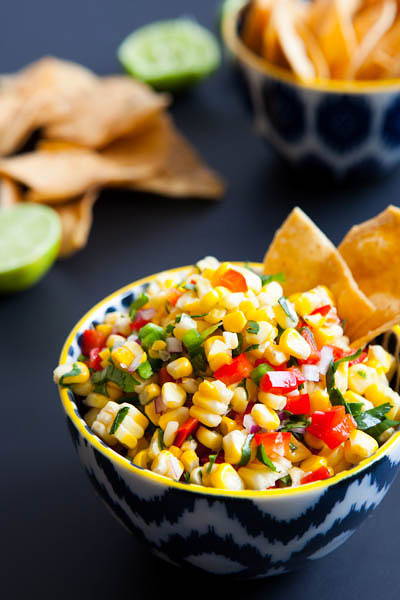 In a medium-sized bowl, combine corn kernels with black beans, mango, lime juice, olive oil, green onion, jalapeno and salt. 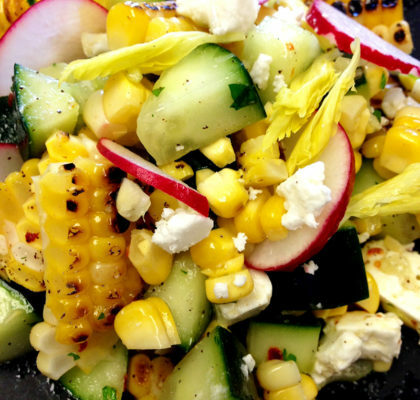 Serve with grilled or roasted meats, if desired. Bring a little Miami heat to the table with this delicious alternative to traditional salsa by Chef Michelle Bernstein—Azul Restaurant, Miami. 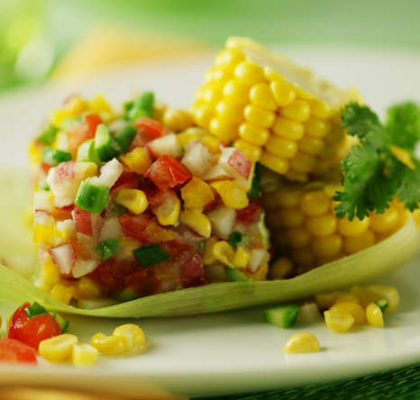 For an easy and crowd-pleasing appetizer or snack, whip up a batch of this fresh corn salsa. With a healthy helping of fresh corn, avocado, and black beans it’s perfect for a gathering of friends and family or even an after school snack for kids!